Despite over $150 billion being spent annually in development globally, virtually nobody is tracking whether the achieved progress can last, or whether it is becoming increasingly fragile without the necessary access to nature’s resources. But this is changing. 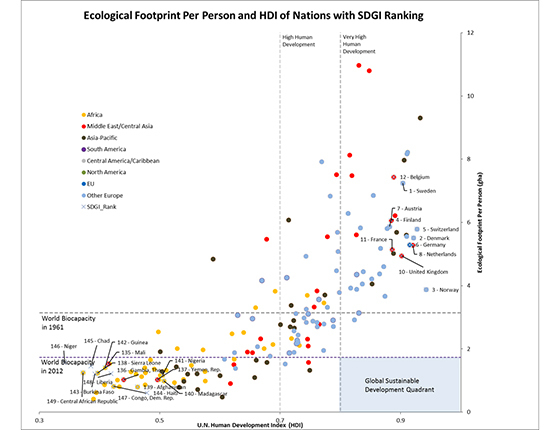 The United Nations Development Programme’s latest flagship publication, its Human Development Report 2013, prominently features countries’ performance as proposed by Global Footprint Network: how much human well-being do countries generate (as measured by the UNDP’s Human Development Index) at what level of resource demand (as measured by the Ecological Footprint). It is a significant step for a leading UN agency to question business-as-usual models of development and explore alternatives. In the past, the report included Ecological Footprint results in its background data table, but this year UNDP used our HDI-Footprint graph to prominently show how far away the world is from meeting the sustainable development challenge, using simple metrics. The United Nations’ HDI is an indicator of human development that measures a country’s achievements in the areas of longevity, education, and income. The Ecological Footprint is a measure of a population’s demand on nature and can be compared to the available biocapacity. 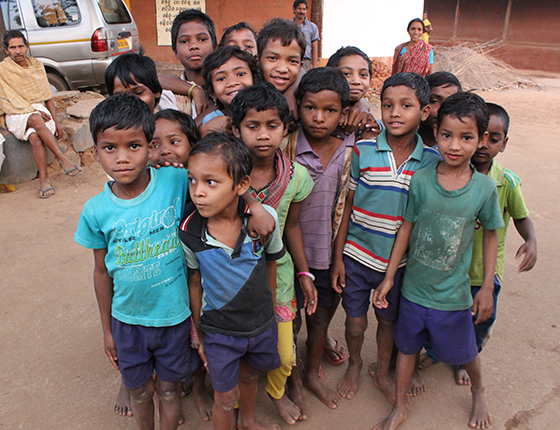 The basic premise of integrating the two into one science-based measurement framework is that sustainable human development depends on achieving great lives for all, within the resource budget available to the population. 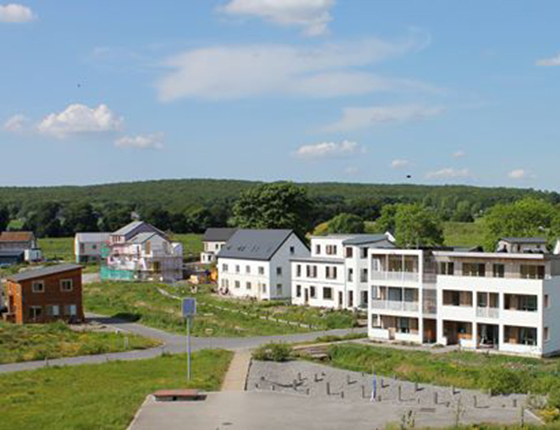 The latter means adequate access to ecological assets over the long-term. We are increasingly reminded that human welfare is critically dependent on healthy ecological assets. The graph exemplifies the challenge of creating a high level of human well-being without depleting the planet’s or a region’s ecological resource base. As you can see, the lower right quadrant represents the goal of sustainable development, i.e., high human development, within levels of resource consumption that can be extended globally. Only very few nations have achieved entering this quadrant. 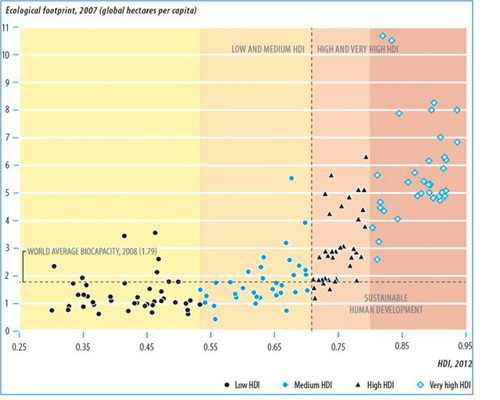 Fortunately, there are many opportunities to manage and use biocapacity more effectively and to invest in those human development programs that move countries and their people closer to the lower right quadrant, that is, global long-term sustainability. We congratulate UNDP for clearly demonstrating the dilemma humanity faces and for its commitment to find development models that can overcome this current dilemma.